This is a list of all of the CNC (computer numerically controlled) based projects that I worked on at some point. This includes class projects as well as my own personal projects, feel free to look around and get some ideas. 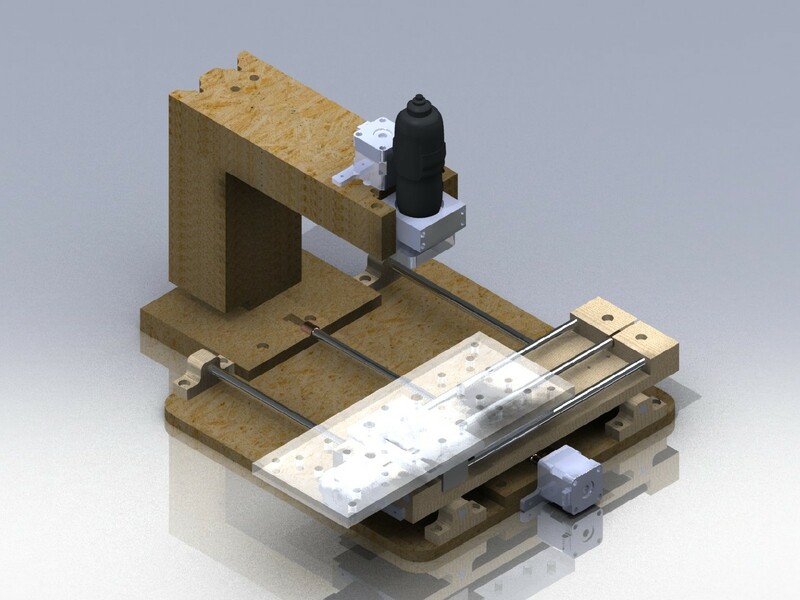 I am intrigued by the concept of CNC so I expect to be building several machines as well as accessories for them. My second CNC mill project constructed from layers of .5" MDF. This is a micro mill so that i could keep it in my room and use it for various small fabrication purposes. work area is 9.5"x9.5"x2" (with a 1 inch long bit). My first attempt at building a CNC with one other classmate in an Engineering Lab class. This entire rig was designed and built by us, on a low budget of under $100. Video of operation is included. The machine was donated to CCSF for other students to use and learn CNC and improve the machine.